Reason 1: Drinking Red Wine with fried foods may counter act the effect of the fat attack. Studies find that people who drink wine daily have lower body mass than those who indulge occasionally; moderate wine drinkers have narrower waists and less abdominal fat than people who drink liquor. There is a two for one on your resolutions. Reason 2: Cancer runs in your family? Resveratrol (antioxidant) helps prevent cancer by limiting tumor growth. 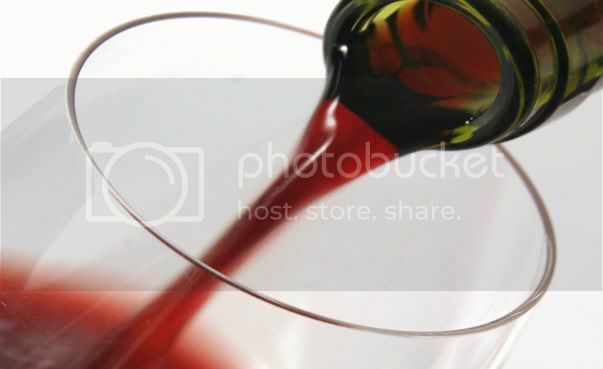 Red wine is high in flavonoids (a type of polyphenol), which are antioxidants. One of the most studied antioxidants is resveratrol, which comes from grape skins and seeds. Antioxidants help prevent certain molecules, known as free radicals, from damaging cells. Reason 3: Wine drinkers less likely to get common cold. An investigation revealed that men and women who drank more than 14 glasses of wine each week had a 40 percent reduction in colds compared with people who drank no alcohol. The association was stronger for red wine and the same findings were not true for people consuming other alcoholic beverages, the report indicates. On average, the men had 1.1 colds per person per year in that time, while women averaged 1.7 colds per person per year. Bottoms ups! Reason 4: Wine can be expensive if you are cutting down on your spending this year. The Wine Cellar we have wines to fit everyone's budget & a monthly Newsletter with discounts. Also if you buy in bulk you save an additional five to ten percent on the already marked down items. Reason 5: Too many calories in alcoholic beverages? It is all about portion control and moderation. Red wine 3.5oz has approximately 74 calories. White wine 3.5oz has approximately 70 calories. Reason 6: Forgetful? Wine could preserve your memory. When researchers gave memory quizzes to women in their 70s, those who drank one glass of wine or more every day scored much better than those who drank less or not at all. Reason 7: Researchers have found that men who drink an average of four to seven glasses of red wine per week are only 52 percent as likely to be diagnosed with prostate cancer as those who do not drink red wine, reports the June 2007 issue of Harvard Men's Health Watch. Men won't need another reason. Reason 8: Australian researchers recently compared women with ovarian cancer and cancer-free women; they found that roughly one glass of wine a day seemed to reduce the risk of the disease by as much as 50 percent. Reason 9: Would you rather eat spinach once daily or drink a glass of wine? On average, women who drink moderately seem to have higher bone mass than abstainers. Alcohol appears to boost estrogen levels; the hormone seems to slow the body's destruction of old bone more than it slows the production of new bone. Reason 10: And most importantly, wine is delicious! How could you live without it? Pair it with a meal, loved one or a night alone because nothing makes you feel as fine as Wine!